Pollsters in Hungary might have some explaining to do after Sunday’s elections. A new poll by Publicus published Thursday seems to largely contradict a poll released Wednesday by Medián, which had predicted a two-thirds majority for Fidesz, thanks to what they believe is the successful mobilization of pro-Orbán voters. According to Publicus, however, Fidesz support is dropping and pro-government voters are uncertain. Prime Minister Viktor Orbán stands to lose his majority in parliament if turnout on Sunday exceeds 70%, opening the door for the fractured opposition parties to cobble together some type of government. Crucially, Publicus found that 74% of respondents indicated that they plan to vote on Sunday. If this number is correct, turnout will be higher than in any previous Hungarian national election since 1990. 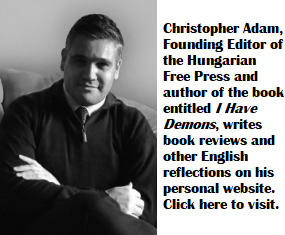 Publicus found that a growing number of Hungarians are concealing their voting intentions. 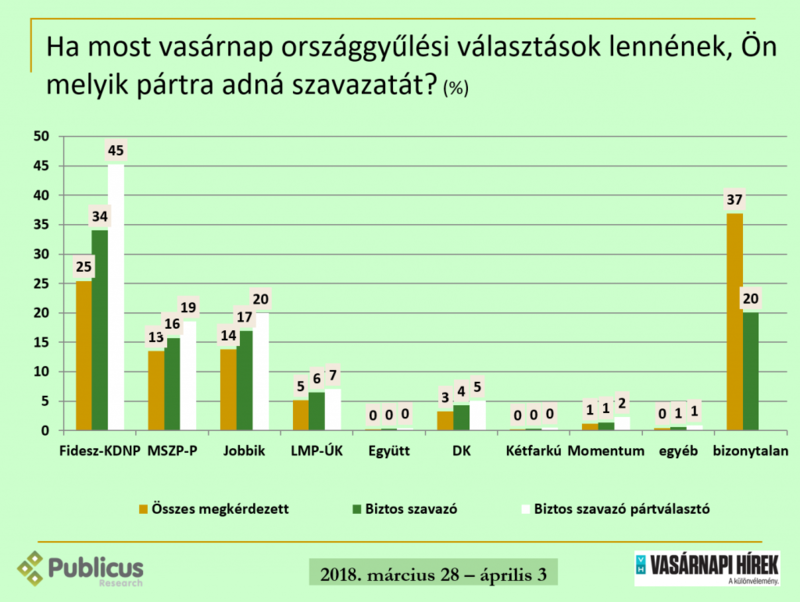 Overall, 37% of Hungarians claim to be undecided, but Publicus estimates that 44% of this cohort are actually hiding their true voting intentions. This represents close to 400,000 voters. The way Publicus sees it, Fidesz can win a two thirds majority if turnout is below 65%, but Mr. Orbán may find himself in a minority and unable to form a government if turnout exceeds 70%. The theory that high turnout helps the opposition overall and complicates matters for Fidesz is in line with what most pollsters and observers have long believed, except for Medián in its most recent poll. There is one caveat, however. High turnout, according to Publicus, might endanger the ability of both DK and LMP to reach the minimum 5% threshold of parliamentary representation on the party list ballot. If this is the case, Fidesz–presumably the largest party–stands to benefit when seats from this list are allocated to the parties above the threshold. This does not, however, preclude both LMP and DK from still being present in parliament, albeit in a heavily reduced fashion, if they win seats at the riding level on the second ballot. Együtt, though not expected to pass the 5% threshold, is also likely to win at least one seat at the riding level. Publicus found that the most loyal Fidesz voters today are Hungarians with a Grade 8 education or less and who live in rural communities. In contrast, the demographic cohorts most desiring a change in government are educated youth from Budapest, between 18 and 29 years of age. Geographically, MSZP-P and DK are strongest in Budapest and in the surrounding Pest county, as well as in some of Hungary’s largest cities, particularly Miskolc, Pécs and Szeged. Jobbik is expected to win seats at the district level in eastern Hungary, especially in Heves county, which is also where the party’s leader, Gábor Vona, is running as a candidate. Republikon emphasizes: there is a consensus across the board in the polling industry that Fidesz support is being overestimated in all of these surveys. Pingback: Kanadai Magyar Hírlap – A felmérések dzsungelében – A KMH olvasójaként Ön melyik listára szavaz április 8-án? De vajon miert kedvelik a “lista”-t ? Miert nem ohajtanak egyenileg a szabadhatarozataik alapjan a lehetoseget szavazhatni minden eggyes kandidatusra nervszerint minden poziciok betoltesere ? Hiszen az az egyedulli demokratikus eljaras. A “koalicio” es a “lista” az csupan a demokratikus modszer kijatszasa. I don’t get it, why would pollsters overestimate fidesz, all of them, and even admit it? Isn’t this just stupid?